Adjustable bands are flexible up to 8.5". If you're not sure on what size wristband to purchase, then these bands are perfect for you! Adjustable bands have three buttons and can be adjusted to a smaller or larger size. People like the convenience adjustable bands offer as they will fit both children and adults comfortably. The bands are inconspicuous and comfortable. Our adjustable bands are made of high quality silicone that is non-allergenic and long-lasting. 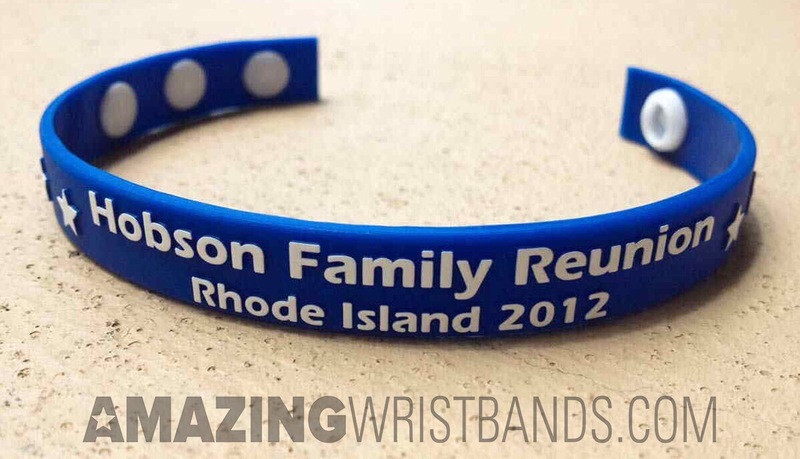 These bands are best for promotional giveaways, fundraising, gifts for special occasions. 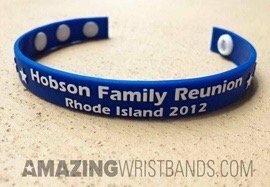 Like all our custom wristbands eye-catchy slap bracelets, even the adjustable bands are also available in a variety of colors and styles, including embossed, laser debossed, ink filled deboss, colorized and many more. You can customize your adjustable bracelets with your logo and personalized message. We offer competitive prices, superior products, and excellent customer service.